The mission of JPMorgan Chase’s supplier diversity program has evolved from the “right” thing to do into the “smart” thing to do for both our communities and the firm. Historically, many corporate supplier diversity programs were founded on moral principles, not a business case. However, utilizing and developing certified diverse businesses has allowed us to maintain a competitive edge and deliver cost-reduction benefits, which ultimately adds value to communities and generates value for our shareholders. One of my top priorities when I joined JPMorgan Chase three years ago was to take our successful supplier diversity program to an even higher level. 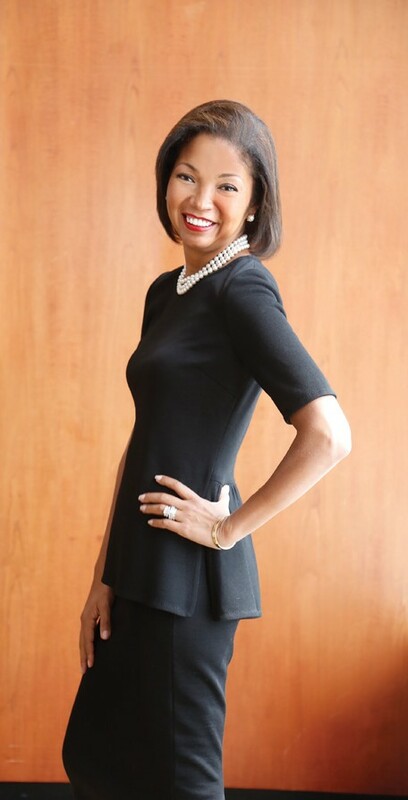 Jacqueline L. Rosa, managing director global head of supplier diversity at JPMorgan Chase & Co.
JPMorgan Chase’s supplier diversity program dates back to 1994 when one of our predecessor organizations, Chemical Bank, established a program for minority- and women-owned businesses. Twenty years later, our program continues to connect qualified diverse businesses with opportunities to provide products and services to JPMorgan Chase worldwide. Our program has expanded over the years to include military veterans and service-disabled veterans, LGBT individuals, and disabled individuals. Each year from 2008 through 2012, JPMorgan Chase has spent more than $1 billion with diverse suppliers, and in 2013, our total spend with diverse suppliers grew to $1.5 billion. We have made a concerted effort to strengthen the firm’s diversity mission with collaborative partnerships across JPMorgan Chase. My team and I are actively engaged in initiatives with business banking, Small Business Administration lending, and targeted corporate groups tackling corporate responsibility, global philanthropy and military and veteran affairs. Our program drives firm-wide supplier diversity strategy, policies, and practices. Minority populations have been increasing in number year after year, including their purchasing power and business activity. The minority business community has evolved along with our supplier diversity program. With these changing demographics our customer base continues to change, and we need to ensure that we stay competitive by addressing the needs of our customers. Supplier diversity can have a real impact on the bottom line. Under my guidance we mirror the metrics used in all of global strategic sourcing. We supply monthly, quarterly, and annual metrics to the chief procurement officer. Clearly we are not a revenue-producing area, but we do make a difference by reducing costs. A vital component of JPMorgan Chase’s long-standing commitment to “impacting the communities where we live and work” is leveraging diversity in all aspects of our business—not just in strategic sourcing. As a firm, we demonstrate our commitment in many ways: in the recruitment and retention of a diverse workforce, the multicultural marketing of our products and services, and by supporting the communities where we do business with donations, grants, and contributions. My team and I spend a great deal of time and effort expanding our partnerships and community outreach programs. We collaborate with national advocacy organizations such as the US Hispanic Chamber of Commerce and the Women’s Business Enterprise National Council, as well as with community leaders and lines of businesses across JPMorgan Chase, to create opportunities for diverse suppliers to compete for business. Education and development for diverse businesses is another priority goal for us. We assist them in becoming top performers in their industries by mentoring, leveraging our internal and external networks, and participating in program initiatives that support the development of entrepreneurs. As a result of the feedback from the women I’ve mentored, I recently launched the first women’s leadership networking group in sourcing called WISE, which stands for women in sourcing empowerment. In the male-dominated industry of sourcing and procurement, I saw a need for a networking group for women in sourcing at JPMorgan Chase. My goal is to create access to mentors, key contacts, partners in the firm, and ultimately access within the sourcing community. I envision the group tackling topics from the lack of gender diversity on corporate boards to the difficulties of balancing business ownership and parenthood and offering meaningful connections, events, and takeaways that enrich the lives of these time-challenged women looking for a community of like-minded professionals to help build their careers. As I enter my third year with JPMorgan Chase, I’ve realized that supplier diversity transcends my personal and professional life. My ultimate goal is to weave supplier diversity into the entire fabric of our corporate culture. Already an example to our industry and the corporate world, JPMorgan Chase is well on its way to achieving it.